Sweet and simple polka dot design. 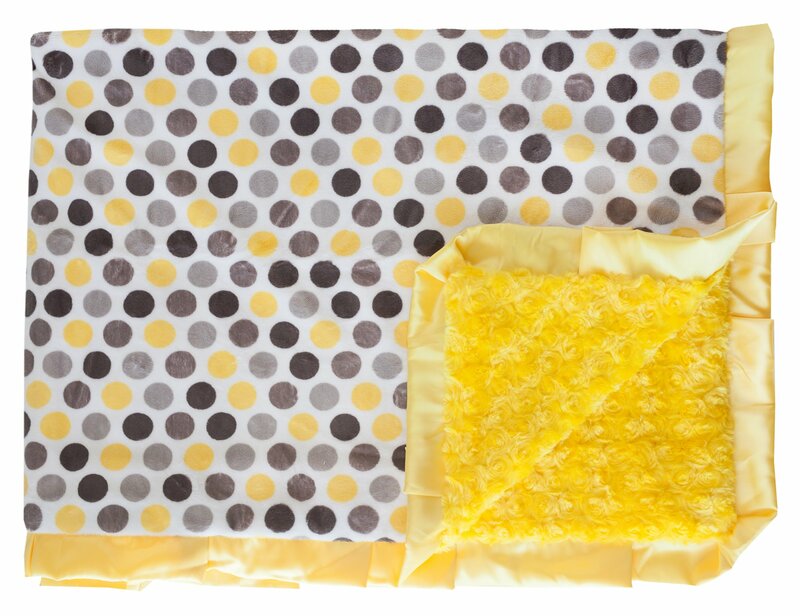 Yellow, dark gray, and light gray polka dots on a paper-white background. Yellow minky back and yellow satin ruffle.